Once you take the dive into offering your expertise to companies and people as an independent consultant, it doesn't take long for you to realize that only a few days of the month bring you all the month you'll make that month. When I started, my benchmark was the salary at my last job. I wanted to at least match it. I split the salary into daily pay and weekly pay. I tried to compensate for extra expenses and tax. So when people wanted my service, I had a daily rate and a weekly rate. I charged about N10,000 to N20,000 per day. It wasn't bad at first. Then there were projects that I couldn't bill per day. Software I built for clients. I would give a price I felt fair for the amount of time it would take me to get it done. Also, not wanting to charge higher than I made in a month on my previous job. The wonderful thing about being out there is people will tell you how ridiculously low you're pricing your services. So I began to bump up my price and evaluate client reactions. Amazingly, what I found out is that no matter the price I fixed people will still try to negotiate it downwards and that what gets you paid what you ask is how confident you are about your value and you resoluteness in not going lower than what you stated. So I bumped up my rate to N50,000 per day. And I started pricing my software at double the price I usually would have charged. At first, it was difficult to convince people to pay that high as it's a lot higher than what the other guys they know charge. Same too for the software, people kept telling me why I should reduce the price and sold me the "for the sake of long-term relationship and more projects". Again, the good (and sometimes, bad) side of consulting is that it takes you few projects to become booked out. I don't need too many projects, just a few per month is what I found I could handle. In fact, the ideal number is 5. If I get 5 good projects (training or consulting or software or a mix of the three) in a month and I don't charge stupidly low, I would be very good that month. And now I am getting more than that ideal number. So my only way of turning down the extra is by, again, raising my rate. Or forming a team so I can handle more than 5 projects per month. I have taken the easy route first -- raising my price -- and trying to find a sustainable way of building a team. I now charge as high as N100,000 per day. Individuals are not willing to pay that amount, so it has essentially turned my business into a 100% B2B. I still take on N50,000/day but with reluctance and for a client who's promising more. But I know that it's just a matter of time before I stick rigidly to that price of N100,000. It will help me free up time to do more long-term strategic stuffs. Create products I can sell and hire a salesforce for. Move up to blue oceans and position myself for the future. And most importantly, I will be able to get the non price sensitive clients I want. And I can focus on improving my service quality and giving a value that they can be sure to get no where else (in Nigeria). 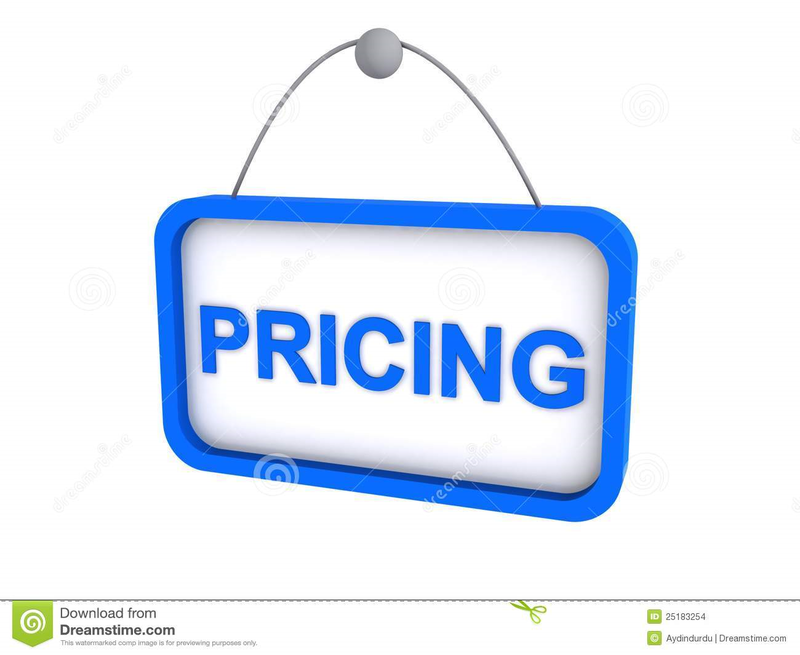 As a consultant, you will have to price your service on a value basis and not on a cost basis. For any price you set, you will always get a client. If you deliver on the job they would feel rip off. Your price is the only way to control your workload and get the kind of clients you want. If you want lots of price sensitive clients, then set a price accordingly that makes your service affordable to a lot of people. And if, like me, you want few well paying clients then raise your price to a level it becomes almost a luxury service. Be ready to not get clients for a long time too or mix with low paying ones till you finally swap them out with the high paying ones. In the end, you'll always get the type of client you price attracts.